I usually complain when I have spend another sunday on the couch especially when the weather is good. 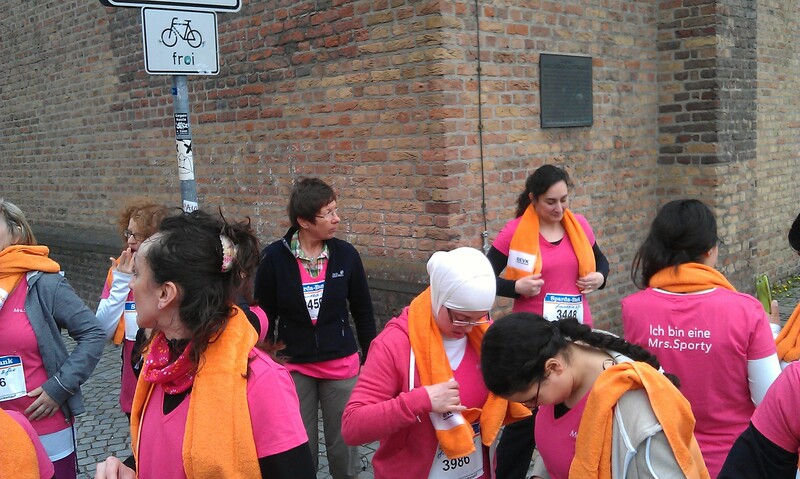 This and a bit of group pressure made me join the group from my gym who joined Dusseldorf’s bridge run yesterday. It was only 5km, crossing the Rhine twice but I hardly ever go jogging. We all got a t-shirt from our gym, Mrs. Sporty, being a women’s only gym it was of course pink. But hey, first of all that clashed perfectly with the free towel we got which was orange and meant we never lost sight of each other. 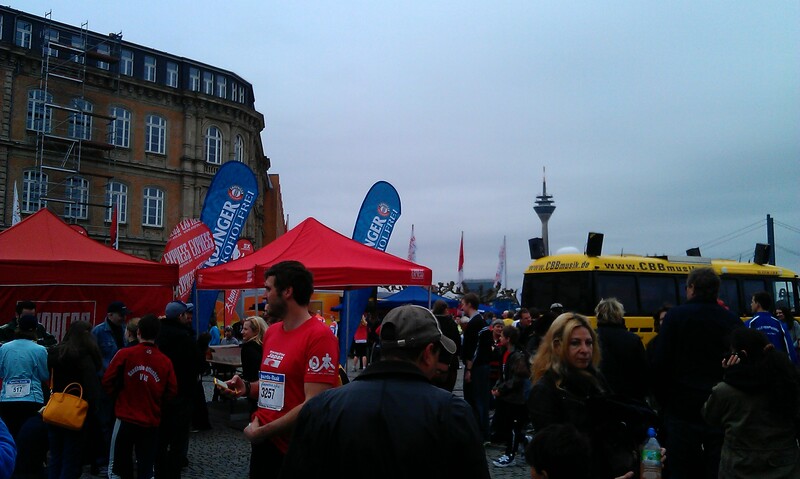 The run started on the Burgplatz, close to the Rhine in the city center. The weather wasn’t that great. Well it was quite warm (about 18°C) but cloudy but it was actually nice to run. Unfortunately I didn’t stick to what we had said: we just wanted to walk the 5km but I jogged every other bit of the circuit. 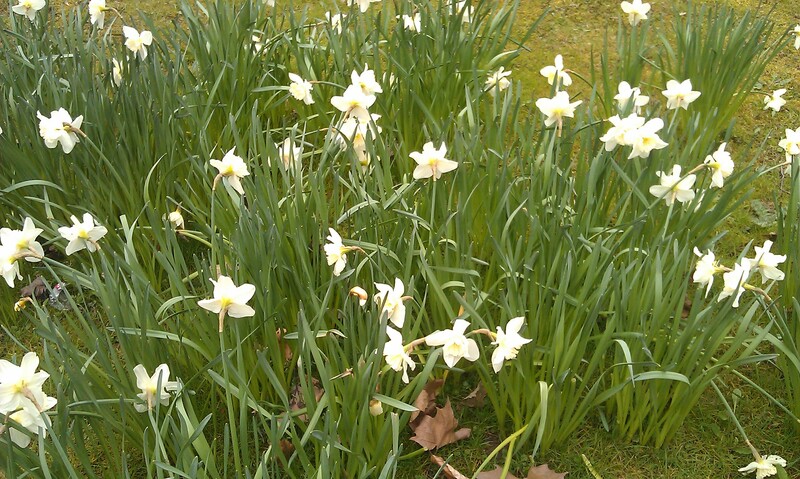 On my way home I had time to admire the first flowers blooming in Dusseldorf. Spring is finally here! But when I came home (having walked to the city center and back home I had mastered 15km after all) my lower back was hurting like hell. I had to lie down and slept 2 hours straight away. Today I can at least move a bit again but I’ve really never had anything like this. Don’t know what I did wrong. Might be a combination of not running much, with a hard surface to run on plus shoes which were very comfy but probably not the best ones for jogging. 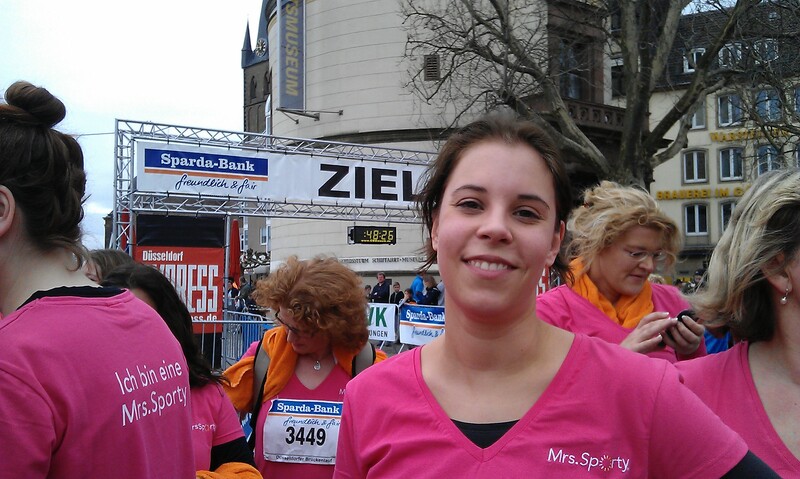 This entry was posted in Germany and tagged Dusseldorf, Sport by kathatravelling. Bookmark the permalink.